Patrick has been enjoying the Arctic Cat, and drives it all over the yard. 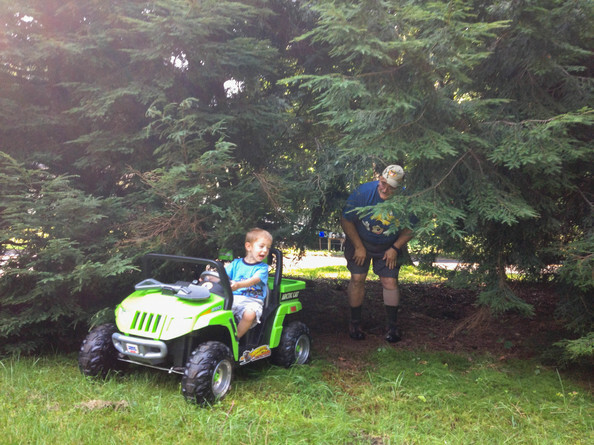 One of the things he likes to do is drive through this small opening in the trees. We have to follow him because he gets stuck, and so one of us also usually has to go through the trees, too. But today, my parents were here and wanted to watch him drive, so I left my Dad to follow him and claw his way through.